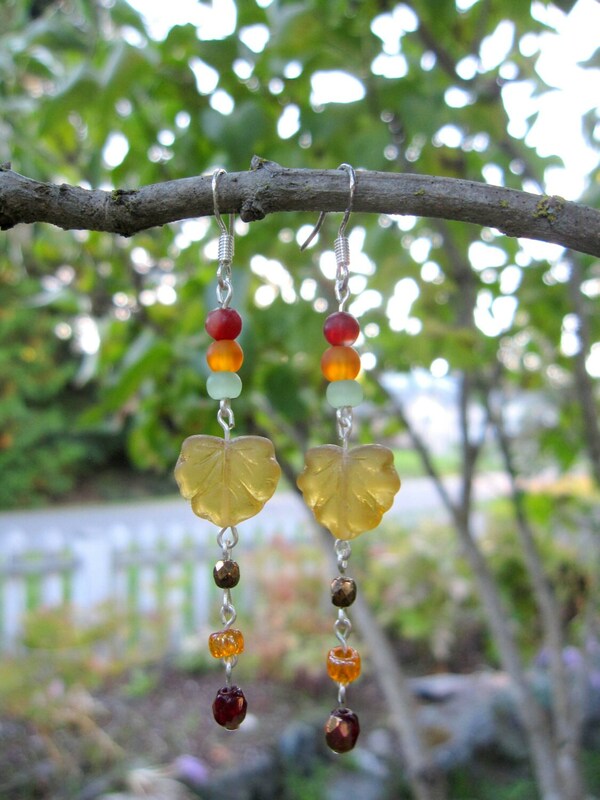 These gorgeous, colorful earrings are beautiful danglies with a sparkle of Swarovski beads. They are nice and light and swing softly. The colors in this are: red, brown, green and orange. 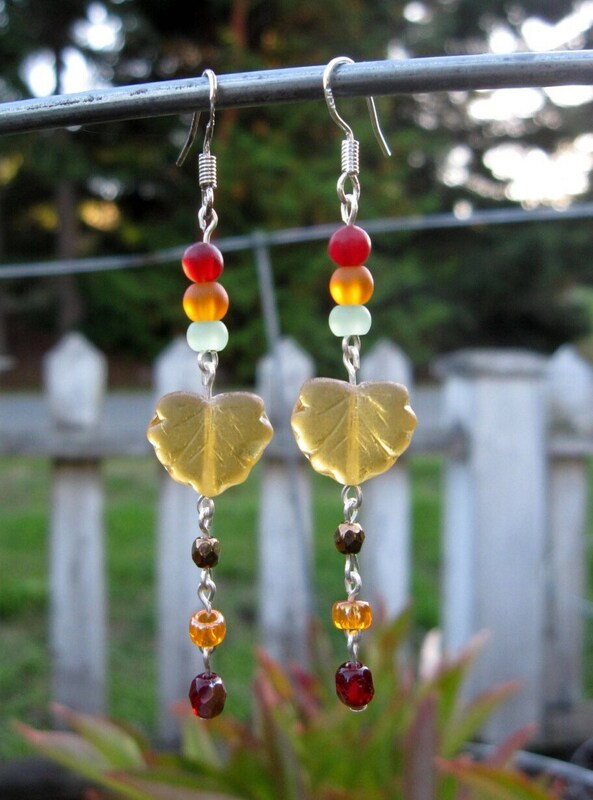 These lovely earrings are made for Thanksgiving/Fall/Christmas season in mind with the Autumn hues; the leaves changing colors. They are about 2" long. These will be wrapped in tissue paper, put in either a box or drawstring purse bag and mailed First Class in a bubble mailer.